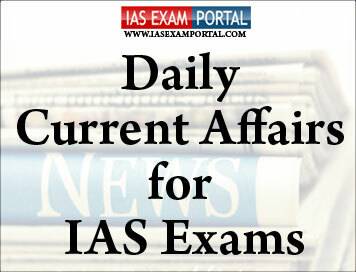 Current Affairs for IAS Exams - 30 August 2018 | IAS EXAM PORTAL - India's Largest Community for UPSC Exam Aspirants. The Supreme Court on Wednesday ordered the Pune police to place the five well-known rights activists they detained in a countrywide crackdown on Tuesday under house arrest, and that too, in their own homes. A three-judge Bench, led by Chief Justice of India DipakMisra, lashed out at the “sweeping round of arrests,” observing that democracy could not survive without dissenting voices. “Dissent is the safety valve of democracy. If dissent is not allowed, democracy will burst under pressure,” Justice D.Y. Chandrachud, on the Bench, said. Poet VaravaraRao was picked up in Hyderabad, SudhaBharadwaj in Faridabad, Vernon Gonsalves in Mumbai, Arun Ferreira in Chhattisgarh and GautamNavalakha in Delhi. Ms.Bharadwaj and Mr.Navalakha are already under house arrest in pursuance of an order of the High Court concerned. The Supreme Court extended their house arrest till September 6, the next date of hearing. In its interim order, the Bench, also comprising Justice A.M. Khanwilkar, directed that Mr.Rao, Mr.Gonsalves and Mr. Ferreira, if arrested, should be placed under house arrest in their homes. While Justice P.B. Sawant (retired) of the Supreme Court said the current situation was an “undeclared emergency”. Justice B.G. KolsePatil (retired) of the Bombay High Court said it was “state terrorism”. A panel headed by Union Home Secretary Rajiv Gauba, which deliberated on measures to check incidents of lynching, submitted its report to a Group of Ministers headed by Home Minister Rajnath Singh. The panel discussed such incidents and is learnt to have come to the conclusion that social media platforms needed to act in a “time-bound” manner. A senior government official said social media platforms — Facebook, WhatsApp, YouTube and Twitter — would be made accountable for not blocking malicious posts and videos when brought to their notice and an “FIR could be lodged against their country heads” for not complying with government orders and they could be prosecuted under law. “We have stepped up engagement with social media platforms. There is a provision in law which enables the government to issue orders to remove objectionable content, block websites, etc. Law enforcement agencies should be able to step up the act and monitor more proactively,” the official added. We have created a portal where people can report such videos and content and that can be forwarded by the National Crime Records Bureau [the nodal body] to the States concerned for appropriate action,” the official said. The Centre asked them to appoint an officer in each district at the level of Superintendent of Police, set up a special task force to gather intelligence, and closely monitor social media contents to prevent mob attacks on people on the suspicion of being child-lifters or cattle smugglers. The Reserve Bank of India’s annual report for 2017-18 said more than 99% of the Rs. 500 and Rs. 1,000 notes withdrawn from circulation in November 2016 had been returned to the central bank. According to the report, after verification and reconciliation, the total value of the Rs. 500 and Rs. 1,000 notes as on November 8, 2016, the day before the note ban came into effect, was Rs. 15.41 lakh crore. The total value of such notes returned from circulation is Rs. 15.31 lakh crore. With more Rs. 500 notes having been pumped into the system over the last one year, the share of Rs. 2,000 notes by value declined to 37.3% as on March 2018, compared with 50.2% a year earlier. The share of Rs. 500 notes, in terms of value, increased from 22.5% to 42.9% in the same period. Prepaid payment instruments (PPIs) recorded a volume of about 3.5 billion transactions, valued at Rs. 1,416 billion while mobile banking services witnessed a growth of 92% and 13% in volume and value terms. The number of registered customers rose by 54% to 251 million at end-March 2018 from 163 million at end-March 2017, the RBI said. The Reserve Bank of India (RBI) has warned about upside risks to inflation during the remaining part of the current financial year, ‘warranting vigil and readiness’ to deal with them. The risks could emanate from rising commodity prices, especially crude oil, global financial market developments and second-round impact from revision of house rent allowance for central government staff. The pace and quality of growth will be anchored by progress on structural reforms over the medium-term, it said. These include resolution of banking and corporate financial stress, taxation, agriculture, liberalisation of the economy’s external interface and galvanising the business environment. The Union Cabinet chaired by Prime Minister ShriNarendraModi has been apprised of the Memorandum of Understanding (MoU) on the cooperation between Research Designs and Standards Organisation (RDSO), India and Republic of Korea Railroad Research Institute (KRRI) to strengthen and promote scientific and technical cooperation in the field of railways. Ministry of Railways have signed MoUs for technical cooperation in the Rail sector with various foreign Governments and National Railways. The identified areas of cooperation include high speed corridors, speed raising of existing routes, development of world class stations, heavy haul operations and modernization of rail infrastructure, etc. The cooperation is achieved through exchange of information on developments in areas of railways technology & operations, knowledge sharing, technical visits, training & seminars and workshops in areas of mutual interest. The first U.S.-India 2+2 dialogue next week in New Delhi will discuss regional and strategic issues of Asia and “will also have some real outcomes”, said a senior official of the Donald Trump administration. “China and how to respond to it will be front and centre” of the dialogue, said Randall G. Schriver, Assistant Secretary of Defence for Asian and Pacific Security Affairs. The Trump administration is mindful of India’s legacy ties with Russia, but does not appreciate its continuing defence cooperation with it, said Mr.Schriver, adding that he was not sure of granting a waiver to India from sanctions if it went ahead with the planned purchase of S-400 missile defence system from Russia. Mr.Schriver said the U.S. administration expected some concrete outcomes such as concluding an enabling agreement on communication and expanding the scope of military exercises. He also said that operationalising India-U.S. partnership in Asia would be part of the 2+2 agenda. In the world that we live in, countries are encouraged by China’s behaviour to coalesce with us,” he said, citing the Belt and Road Initiative and militarisation of the South China Sea. “We also need to have an alternative (to BRI), and we are talking to India on this. The same goes for military strategy. This is the conversation that will have in Delhi,” he said. The Cabinet Committee on Economic Affairs, chaired by the Prime Minister ShriNarendraModi has given its approval for the umbrella scheme “Ocean Services, Technology, Observations, Resources Modelling and Science (O-SMART)”, for implementation during the period from 2017-18 to 2019-20 at an overall cost of Rs.1623 crore. The services rendered under the O-SMART will provide economic benefits to a number of user communities in the coastal and ocean sectors, namely, fisheries, offshore industry, coastal states, Defence, Shipping, Ports etc. Currently, five lakhs fishermen community are receiving this information daily through mobile which includes allocation of fish potential and local weather conditions in the coastal waters. This will help in reducing the search time for fishermen resulting savings in the fuel cost. Implementation of O-SMART will help in addressing issues relating to Sustainable Development Goal-14, which aims to conserve use of oceans, marine resources for sustainable development. This scheme (O-SMART) also provide necessary scientific and technological background required for implementation of various aspects of Blue Economy. The technologies for harnessing the ocean resources are at various stages. Some of them have been matured and operational like low temperature thermal desalination for islands. Besides, the ministry has been monitoring the health of coastal waters of India including shoreline changes and marine ecosystem. The others like Remotely Operated Submersible and soil tester, both capable of operation upto 6000 m. water depth, shallow bed mining systems are some of the cutting edge technologies developed. The Union Sports Ministry and the Sports Authority of India on Wednesday hailed the achievements of hockey legend Dhyan Chand with a function at the National Stadium named after him.